Four out of every five women have a common issue of blackheads. 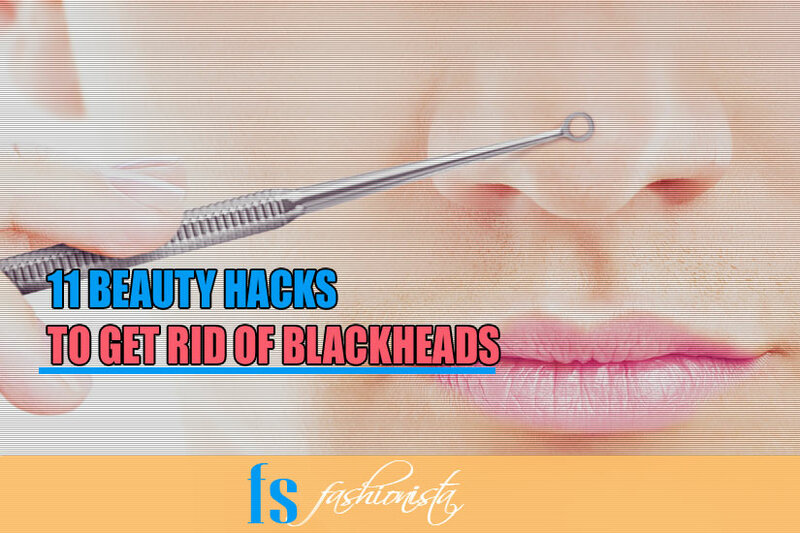 Blackhead doesn't hurt the skin itself but it provokes other skin problems like acne and skin redness due to bacterial invasion. First thing you need to make clear about black head is, 'It's not a dirt'. When the sebum and wax produced by your skin is clogged in your pores, it gets oxidized by the air and turns black. Most of the women have this common misconception and they try to get rid of this dirt by washing their face too frequently. This excessive washing stripes away the natural oil from skin making skin drier. This dryness activates our sebaceous glands which produces excessive oil to make our skin soft and smooth. This over production of oil triggers the formation of blackheads frequently on nose. Over washing or over scrubbing is definitely not a good idea to get rid of them naturally. Whether you have oily or normal skin, just wash your face twice a day with a good facewash. For the rest of the day, you can just rinse your face with fresh water and pat dry. There are several ways for removing black heads depending on the skin type and conditions but one thing I want to make clear is that there is no permanent solution for this, because blackheads are clogged pores and there is no way of shrinking and closing these pores permanently. So, you have to follow these remedies in every couple of days or weeks, depending on the remedy you are pursuing. You can use home remedies to reduce enlarged pores temporarily. For a clean skin it is must to wash your face thoroughly twice a day, especially before going to bed. Regular practice not only removes makeup, dirt, dust particles and excessive oil, but it also detoxify the skin from harmful substances accumulated in your skin layers. Go through each remedy and choose the best possible solution for you. All these remedies are tested so there are little chances of any side-effects. These home remedies consist of ingredients that are always available in your kitchen or grocery so you don't need to visit market especially to buy these ingredients. All the ingredients that I have shared are natural, cheap and inexpensive which means you are going to enjoy them anyways. Bentonite clay is well known for its detoxifying properties. It is widely used in cosmetics, face masks and medicines for detoxification purpose. It is rich in many essential minerals that our body needs. It absorbs all the impurities and toxic material which are clogged deep inside our skin causing acne and papules. You can get bentonite clay easily from your nearest drug store. Applying it daily can improve the skin texture and maintain the hygiene of your skin. Apply this paste to your face and leave for 10-15 minutes or till it gets dry. For results you need to apply this mixture twice a week. Natural skincare remedies take time to yield results but the results are long lasting and free from side-effects. ACV which stands for Apple cider vinegar is an ingredient which has strong anti-inflammatory properties. Our skin has its own pH level and when its disturbed, it becomes a healthy habitat for bacteria to survive. Apple cider vinegar helps our skin to restore that level so no germ could survive in the skin layers. AVC is a strong defense against germs and bacteria that hides in the pores and skin layers, causing acne, papules and breakouts. Many people use it with luke warm water to detox body from unwanted toxic substances. "I researched natural skincare and found that Apple cider vinegar is really effective. Using it as a toner can be harsh. but if you have breakouts it can be really healing." says Scarlett Johansson. Like Scarlett johansson its a clear skin secret of many other famous celebrities. Due to its strong anti bacterial properties its widely used as a first aid treatment for reducing the redness and inflammation. I would recommend you to use a dilute mixture of ACV in the beginning as its a big harsh and pure AVC can damage your skin. In start mix AVC and water in the ratio of 1:3 respectively, reduce the ratio as soon as your skin gets used to it. Mix AVC and water. Dab a cotton ball in it and apply it to the affected areas. Leave it over night and wash it in the morning. Follow up with a nice moisturizer. If you have pimple or papules, you can use a Q-Tip to apply it on them and leave it for few hours. Last week I come to know about a very useful technique for removing blackheads. It sounds weird but its true, you can remove your blackheads with the help of your old toothbrush. Many woman use the toothbrush along with toothpaste to get the results but I have come u with something different and effective. For this treatment, I am recommending an old brush because its bristles become soft and causes less harm to the skin layers. But before using it on your face, you must be sure enough its clean and hygienic. Repeat this process several times a week before going to bed. Baking soda and toothpaste make a wonderful combination for unclogging the pores and removing the excessive oil from the skin layers. Scrub contains tiny granules, when rubbed against skin, removes the outer layer of dead skin cells. These scrubs are also helping in removing the impurities and toxic material from the skin which can cause many skin issues. Scrubs are easily available at stores and cosmetics shops but I would recommend you to stick to natural ones, which are easily made at home within a few minutes. You can find two types of sugar in the market i.e, one with larger granules or smaller ones. I would recommend you to use the one with smaller granules. Juice out the lemon in the bowl and add the sugar to it. Use your fingers to mix them well. With the help of your finger tips, massage this mixture onto your face, especially T-zone where most of the blackheads are formed. Take a few minutes to massage it gently. Wash your face with fresh water and pet dry. Apply your favorite moisturizer afterwards. New, spotless and fairer skin will be revealed in just single application. May be you are a egg lover or not but after knowing its benefits, your skin will definitely crave for it. Eggs are rich in protein and healthy fats, which are essential for healthy skin and also helps in maintaining the elasticity of our skin which is the main factor in ageing process. Whether you eat it in your breakfast or add it in your mask, your will have a beautiful skin for sure ! Egg white contains protein which is the building block of cells and helps in skin regeneration but one thing which is not commonly known about egg white is, it dissolves the sebum plugged in the pores and helps us to get rid off blackheads easily. This egg white mask is also helpful in shrinking the pores and makes them less visible, which means you will have a clean, smooth and younger skin in just 15 minutes. Wash your face thoroughly and pat dry. Take an egg white in a bowl and beat the egg white so you can get a smooth foamy texture. Apply this mixture on your overall face with your finger tips. Massage it well and reapply once its dry. Repeat this 3-4 times and keeping circulating it with your fingers. Wash your face with Luke warm water. You will get instant results with this mask. Your will feel your skin is soft, fairer and healthier than before. Charcoal is the latest addition in cosmetics industry. You may also have heard about charcoal facial cleaners or charcoal scrubs as it has a wonderful power of detoxifying and cleaning skin. Its active ingredients go deep down the skin layers and kill the bacteria that causes breakouts,It absorbs all the impurities and excessive oil from the skin which are the main cause of blackheads and whiteheads. It also helps in maintaining the pH levels of your skin and helps in fighting the signs of ageing. For availing these benefits your don't need to spend dollars. all you will need is a bottle of activated charcoal capsules and few natural ingredients which are easily found in your home. Few drops of essential oil -You can choose any oil but I prefer to use tea tree oil due to its anti-fungal, antiseptic and healing properties. If you still feel your skin is dry and itchy than apply few drops of essential oil to your skin. You will notice instant glow and fairness in your skin. If you have sensitive or acne prone skin than try it on your wrist or jawline first. In case of severe skin problem consult your dermatologist first. First word that comes up in my mind while thinking about using a blackhead extractor is 'Ouch!' because its painful as you need to press it hard against your skin. It is slow and takes time as compared to pore strips, but it is useful for your overall face, unlike pore strips which are meant for nose only. You can target all the leftover blackheads easily, after using pore strip, instead of applying the strip again. One thing that I like most about this method is, you can easily target the clogged pores without affect the whole area of your skin. Its in common practice of most of the Pakistani beauticians. They use it for removing the blackheads near your T-zone and lip area. 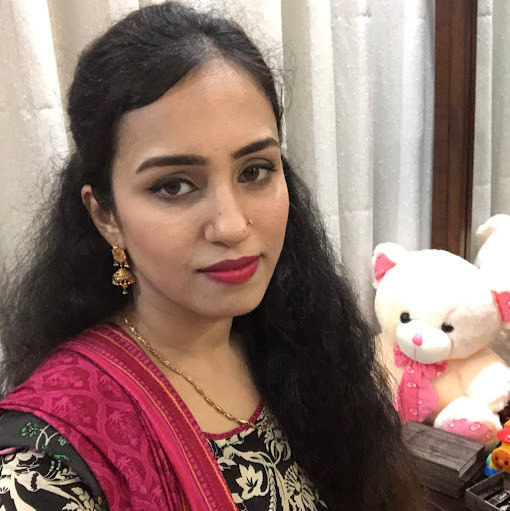 I don't have too much blackheads so I get it done in a couple of months but people who have lot of blackheads should keep it at home as it is easy to use and it is cheap as well. Take a clean blackhead extractor and a piece of cloth or tissue. After taking out all the blackheads your pores are open and can get clogged again with the oil its about to produce. So wash your face with cool water so all the pores can shrink and apply a nice deep moisturizer. Don't try this on acne or papules as it can leave marks on your skin. In case of sensitive skin, you can consult dermatologist first or you can try my DIY homemade masks for blackhead removal. Pore strip is the ultimate solution when you need instant results. These strips are used to extract out the blackheads in just one stroke. It locks out the clogged materials and gives deep cleaning. These strips are meant for only nose so don't even try to use it on other parts of your face. Use skin products containing salicylic acid before using these strips as it will help in removing blackheads easily. But before using these strips you must be sure enough that your skin is not sensitive or you don't have any pimple or acne near your T-zone. Once you are done with these strips, its time for a nice moisturizer. Your pores are open now and it will start producing oil as the strip has removed oil along with the blackheads. So slather your face with a gentle moisturizer according to your skin type or you can use toner as well. Its okay if you get temporary redness and sensitivity but in case you get severe irritation that consult your dermatologist instantly. If you feel unbearable pain than don't try to peel it further. Just pat it with wet fingers so it becomes soft and can easily be removed. Facial brushes are used to clean facial skin deeply with the help of soft bristles. It improves blood circulation and removes harmful toxins from the body. It also helps in removing dead skin, cleaning clogged pores and removes blackheads effectively. You may also find handy brushes which are equally effective but make sure you purchase the brush having soft fine bristles. Before starting the cleaning process, make sure your brush is clean and in hygienic condition. Always start brushing your face with a mild brush as your facial skin is very sensitive and can get irritated. Start brushing your face from forehead and then gently move towards cheeks and T-zone. Use a gentle deep cleanser along with this brush for instant results. If brushing causes irritation, or you are not comfortable with brushing for any reason than you can try steaming. It is a very old and most popular way of cleaning pores deeply. In fact, it is still in practice. Many salons are providing this service and women have their own steaming machines at home which are very useful. If you don't have any machine than don't worry ! You have another option for it. Take a pot and add water to it. Bring it to boil and remove it from the stove. Cover your face with a towel and take steam on your face . Maintain a safe distance, as your skin is not used to it. Clean your face with a soft towel and pat dry after a couple of minutes. Apply moisturizer soon after finishing your steaming process as your skin will be dry and it can trigger your sebaceous glands. Avoid in case of serious skin issues. Over the counter products are those which are readily available at the drug stores and you don't need any prescription for them. But it doesn't mean that all these products are suitable for you. You must be smart enough to understand your skin type and choose the product smartly. Benzoyl peroxide actively kills the bacteria living in your skin, breaks the clogged material in the pores and helps the skin to strip it away quickly. This formula is very effective for removing blackheads and can it also controls the acne and breakouts. Benzoyl peroxide is very active ingredient and can irritate sensitive skin. If you have sensitive skin, avoid using products containing this ingredient. For sensitive you can try products containing salicylic acid. Use face wash and moisturizer containing benzoyl peroxide twice a day to get rid off blackheads permanently. If you have acne or sensitive skin then try to use products containing salicylic acid. It is perfect for those who have sensitive skin It clears acne and blemishes by gently exfoliating it. It also softens the skin layers and helps in restoring the skin elasticity, which is why it is found in most of the anti-ageing products. If you want to get rid off blackheads and prevent them from reoccurring then moisturize your skin regularly. Choose moisturizer that contains one of these active ingredients, longer it stays on your skin the faster it will work. As the name implies, its a over the counter product which removes the outer layers of skin in a controlled manner. Glycolic acid id a product, which is extracted from the sugarcane. It easily separates the old and damaged layers of skin from the new and younger ones. People who try this are mostly amazed by the results because it leaves only few lines and wrinkles, removing years from skin. There are other peels as well but glycolic peel is the safest one and yields satisfactory results. It is usually helpful treatment for those who are suffering from acne, pimples, wrinkles and uneven skin tone, but, as it removes the outer layer of skin cells, it is also helpful in getting rid off blackheads. Many glycolic acid peels are available at the drug stores which have a proper 'How To' instructions written on it, but most effective procedures are done under the supervision of skin specialists. There are no harmful side effects but you may face temporary redness and itching, which usually goes off in a couple of hours. If you are following this treatment, it is recommended to wear sunblock before going out in sun. Hydrogen peroxide is used as a disinfectant worldwide. It is composed of hydrogen and oxygen which makes it the safest product for killing germs and bacteria which causes various skin infections. Hydrogen peroxide oxidizes the organic product it comes in contact with, converting into water and oxygen. Only 3% concentration is recommended as safe for daily use purpose and is easily available at all drug stores. If you have a bottle of 3% hydrogen peroxide it means you have a sanitizer, detoxifying bath product, anti-fungal and anti-bacterial agent. Most of the cosmetic products especially hair dyes, bleaching creams and exfoliating scrubs also have this compound in it which makes it more effective. For removing blackheads, hydrogen peroxide is the easiest and simplest solution as you don't need much time and effort. It is a very cheap ingredient so I guess it is cost effective as well. (You can also use as a skin lightening and teeth whitening product). Wash your face gently and pat dry. Clean your T-zone properly as its the part of your face which has most of the clogged pores. Hydrogen peroxide works by oxidizing the clogged material so you can feel a slight burning sensation which is normal, but in other case, you should avoid using it further. Make sure you don't use it on your eyebrows or hair as it has bleaching properties.